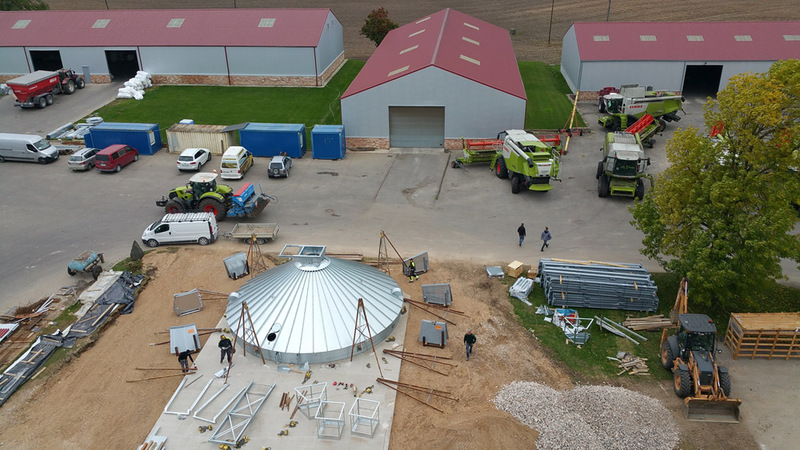 SIA Petertāles is a family farm that started in the 90s with 13 hectars.Today the farm has 3800 hectars of arable land. 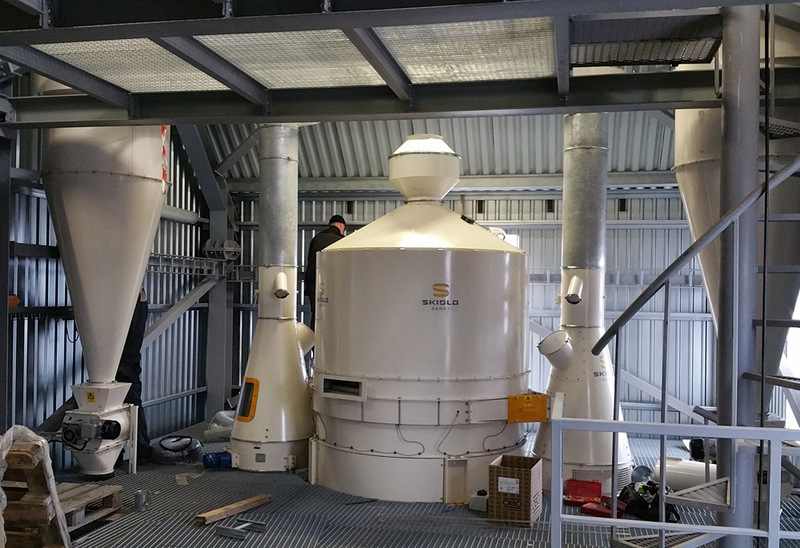 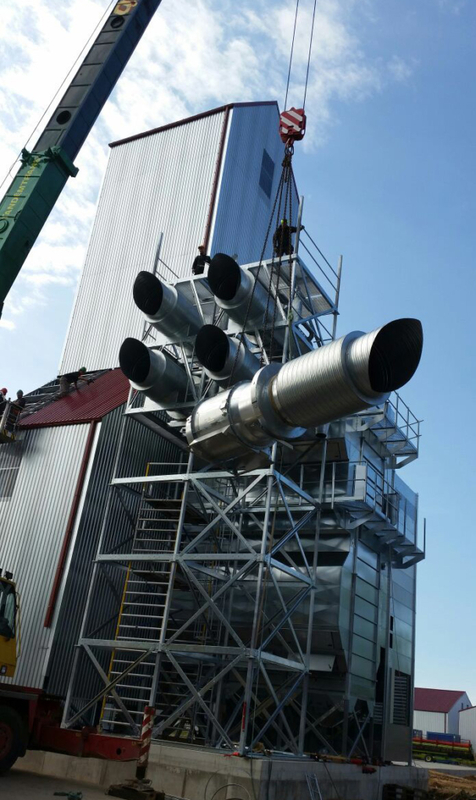 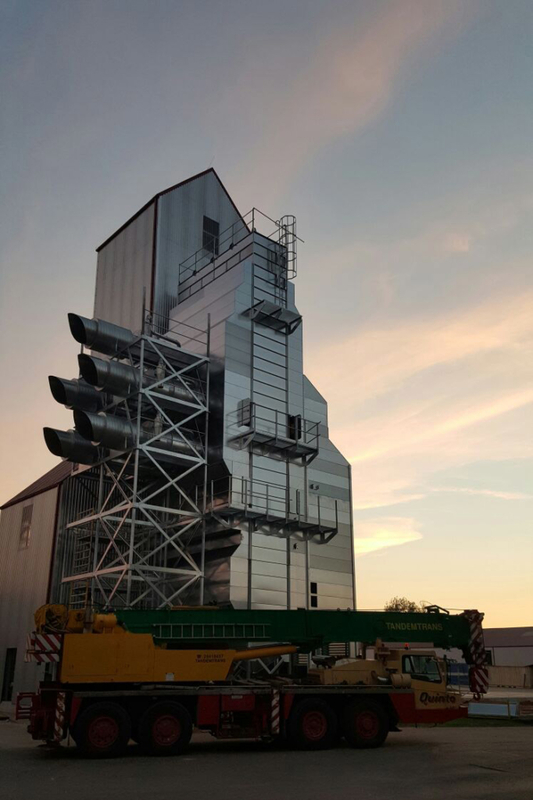 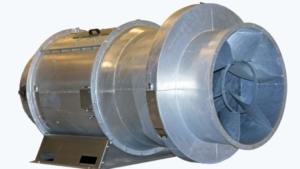 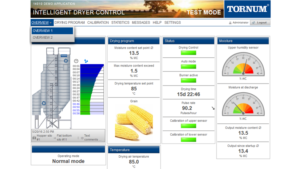 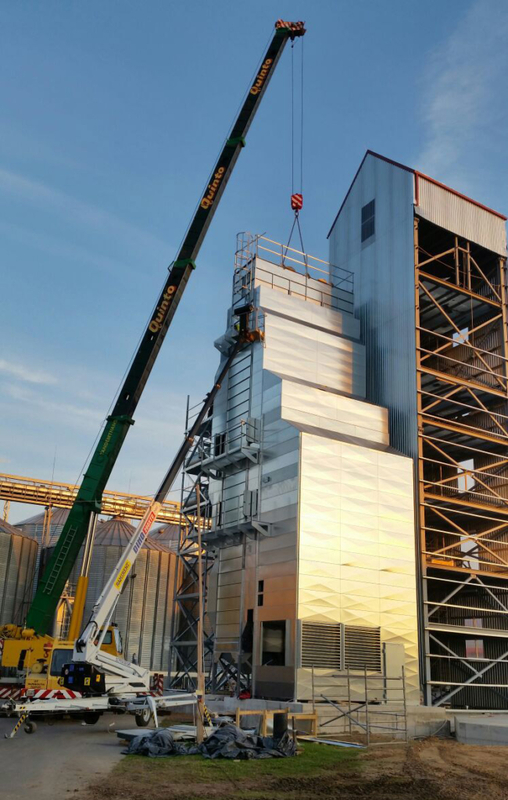 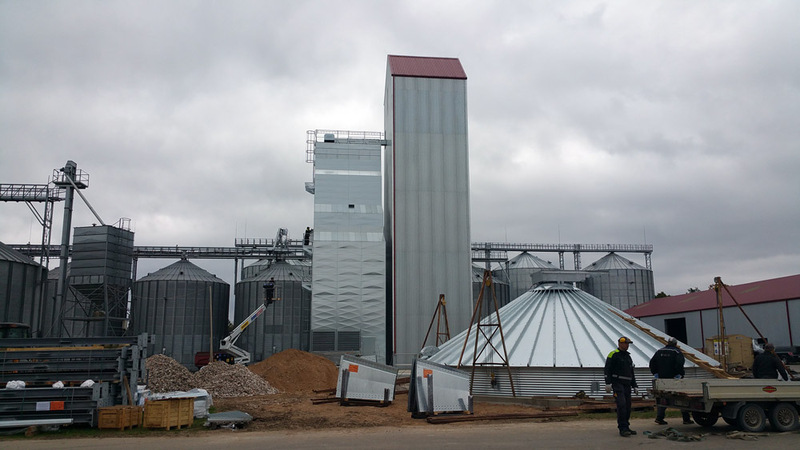 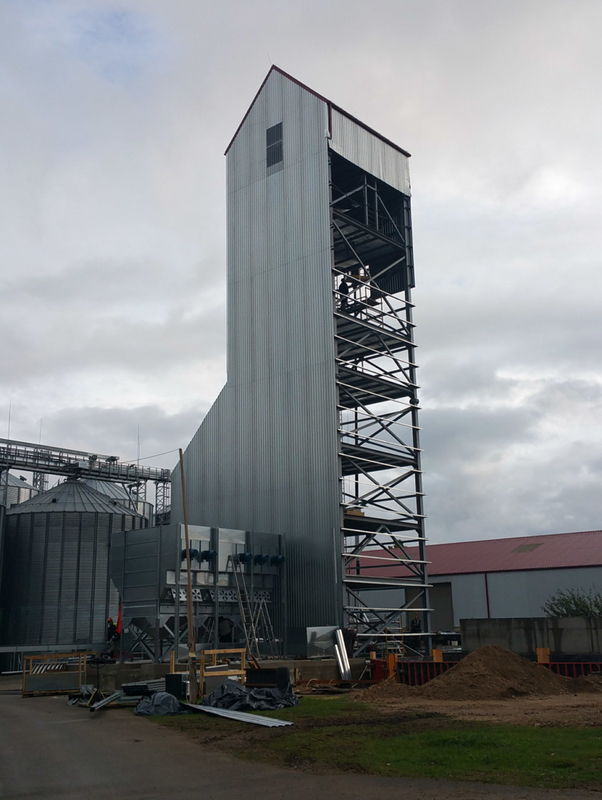 The delivery includes a Tornum Heat Recovery Dryer HR6-27-3 equipped with Tornum CAC fans and IDC, 3 pcs hopper bins for wet grain each 1048m3, cleaner Damas Sigma 1006, Skandia H-Line conveying equipment 150 t/h. 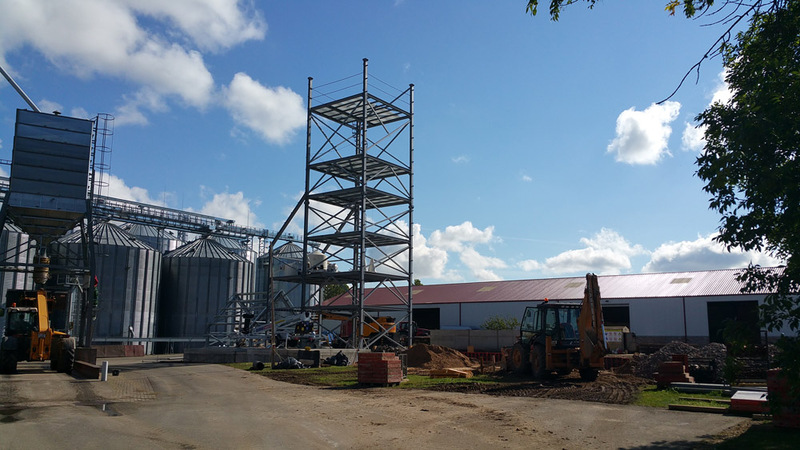 The plant shall be ready mid October 2015. 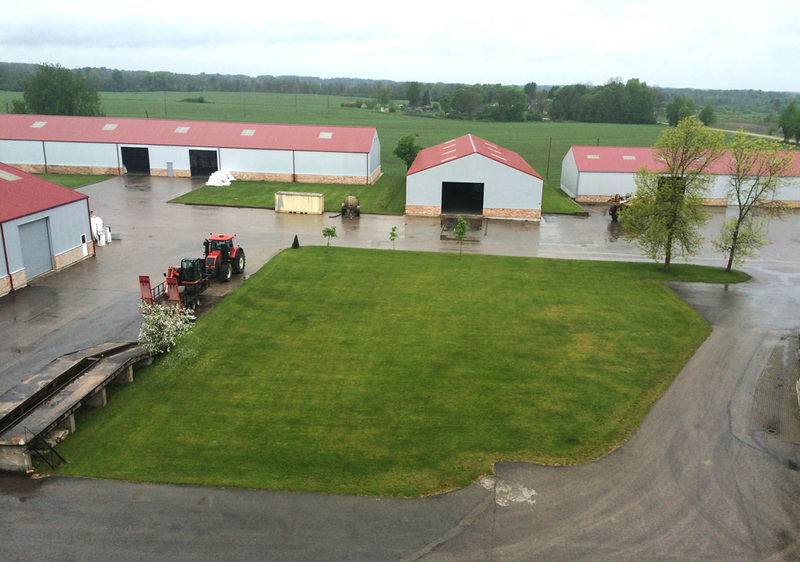 2015-05-27 The new equipment will be built on the green field. 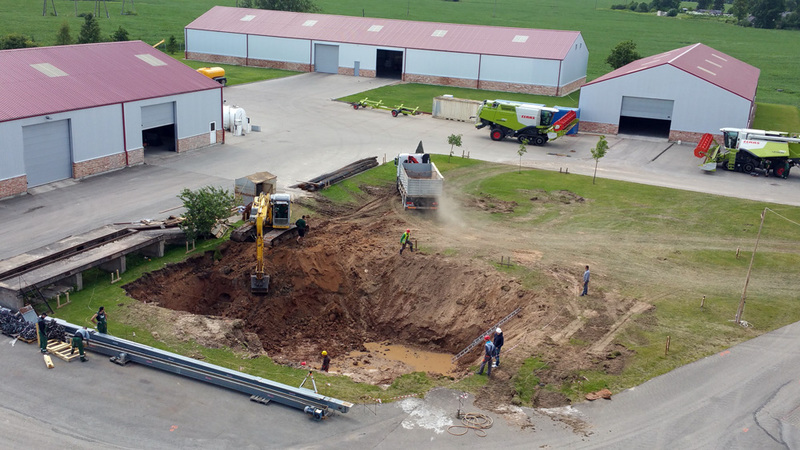 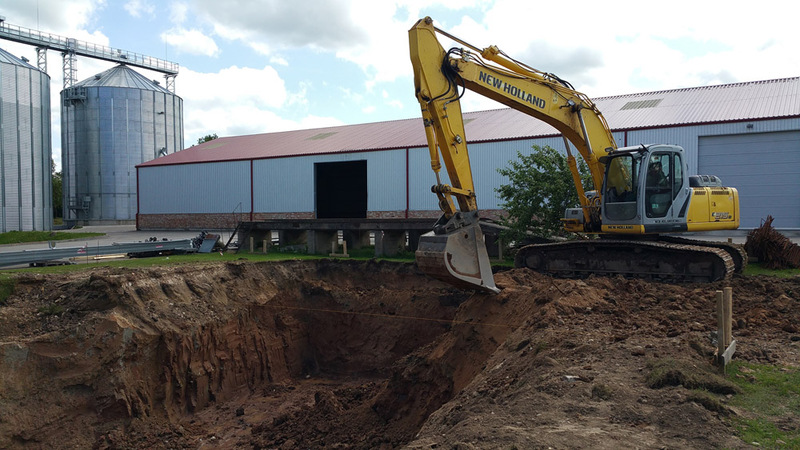 2015-07-07 Ground work for pit under elevator house. 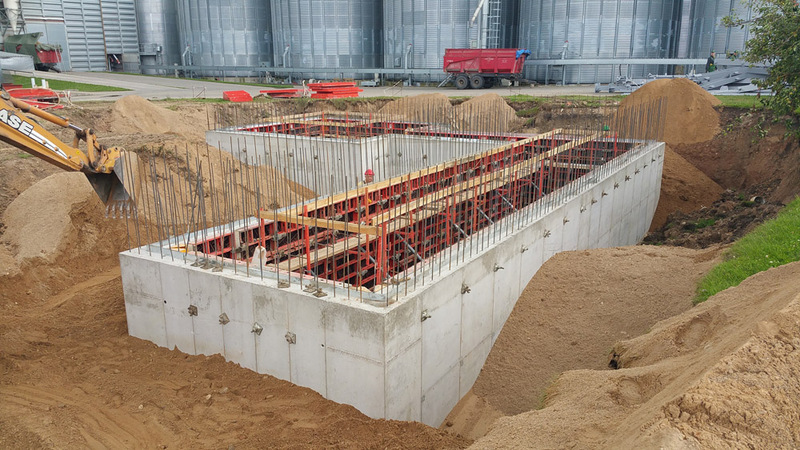 2015-07-31 Concrete walls on intake pit and elevator pit . 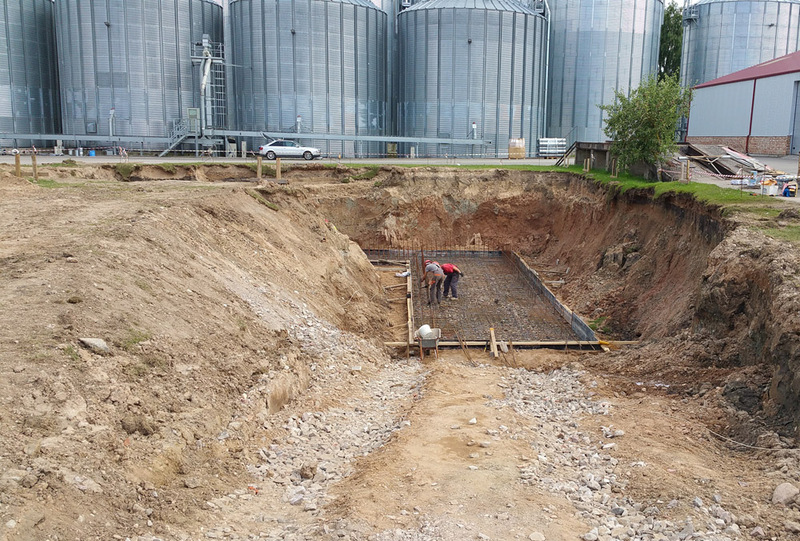 2015-09-09 Beton concrete almost ready, work on steel construction are ongoing. 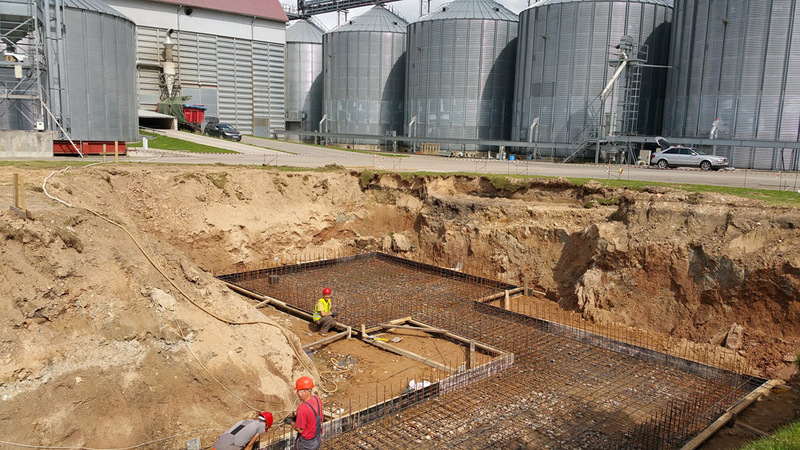 2015-09-09 Concrete almost ready, work on steel construction are ongoing. 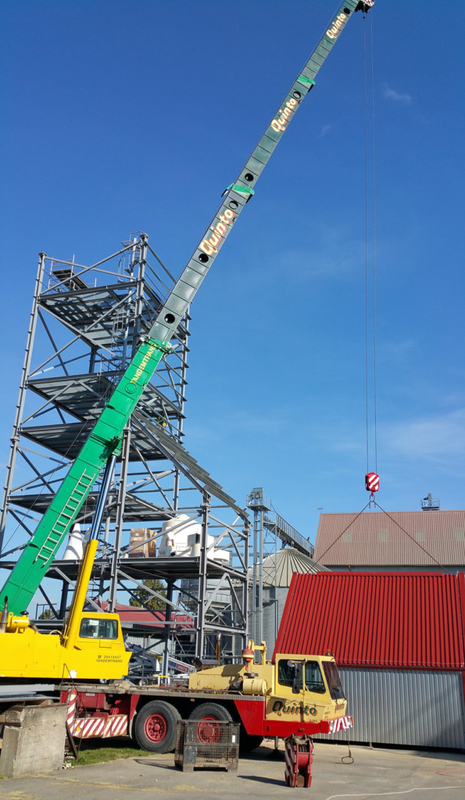 2015-09-14 Lifting the top of the elevator house. 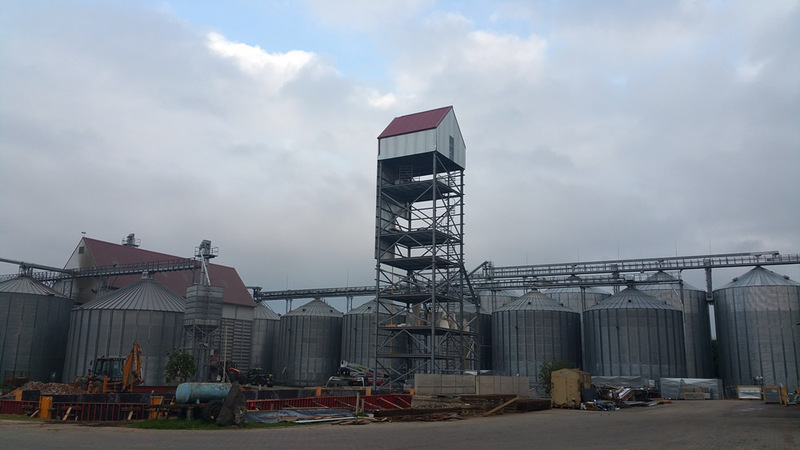 2015-09-15 Lifting top of elevator house, elevator house construction is ready. 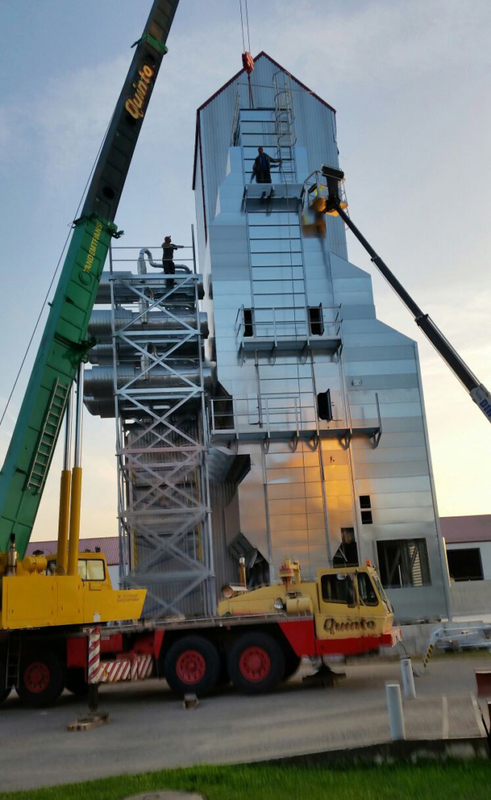 2015-09-21 Assembly of dryer beside the elevator house. 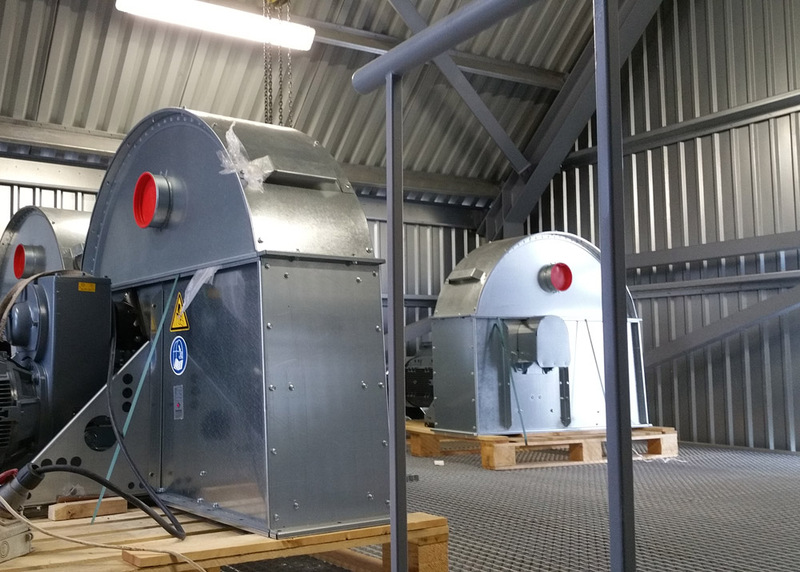 2015-09-25 Assembly of drying sections. 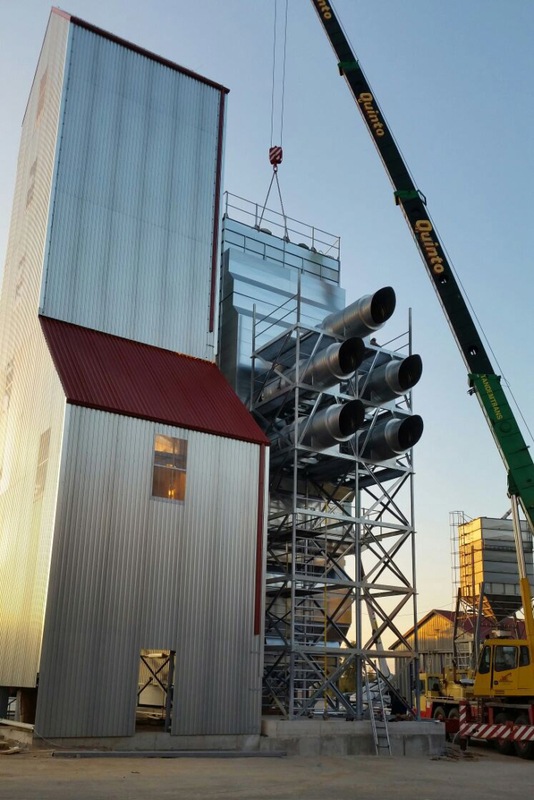 2015-10-01 Assembly of the hopper silos for wet grain starts today. 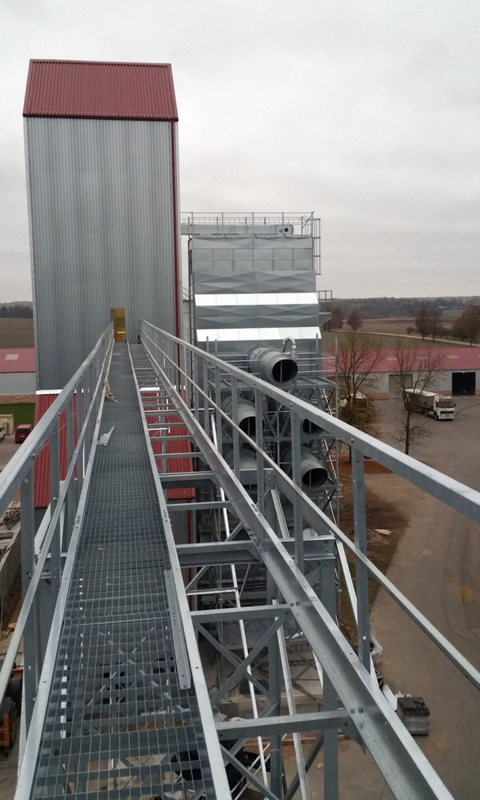 2015-10-01 The roof of the first silo is ready. 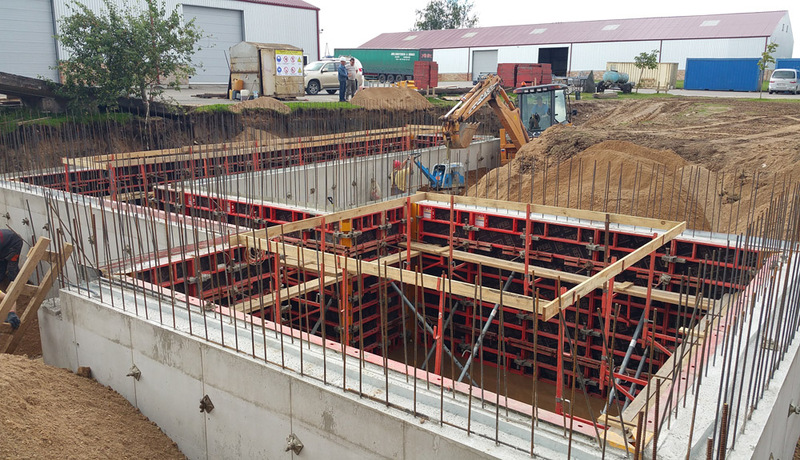 2015-10-01 Electrical installation work is going on. 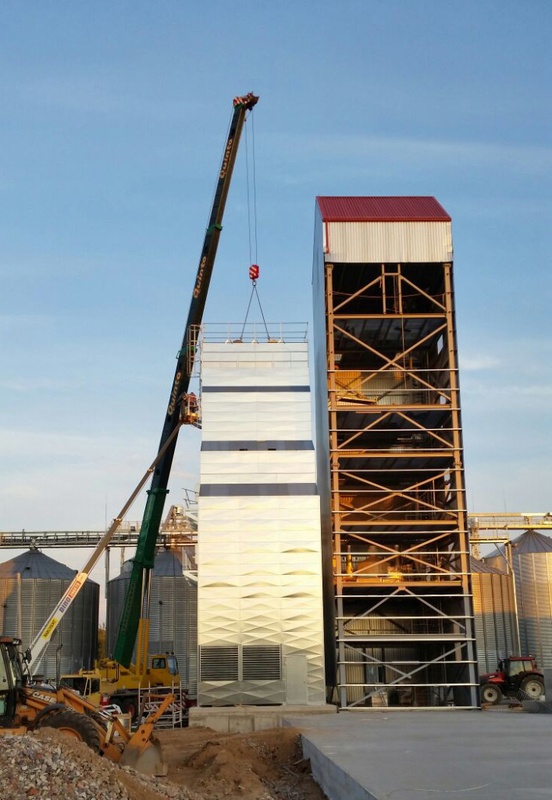 2015-10-01 Assembly work on bucket elevators. 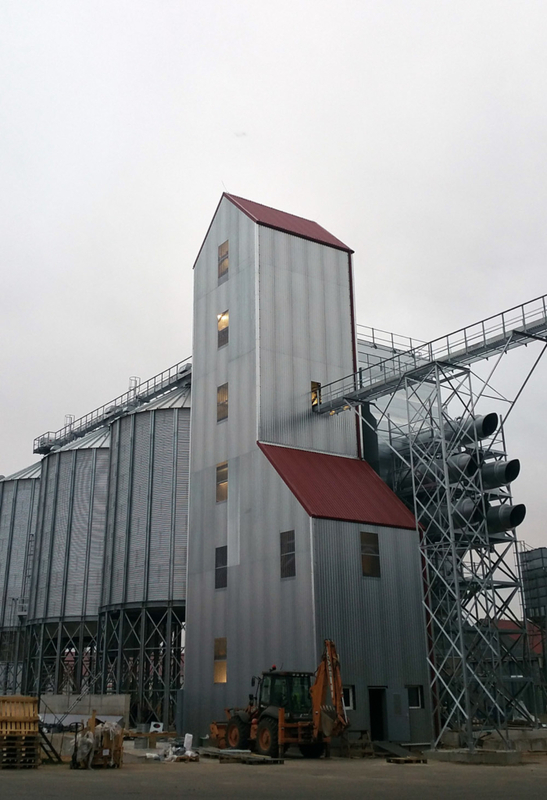 2015-10-19 The hopper silos are finished. 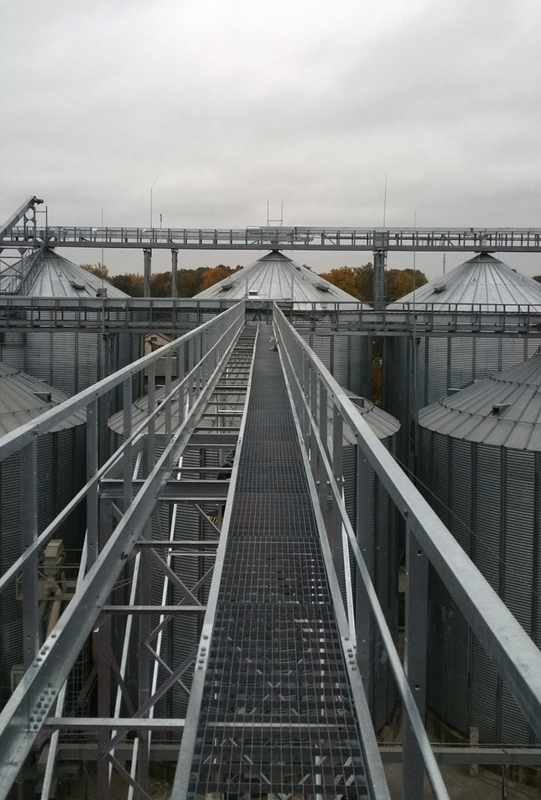 2015-10-19 Catwalk for connection to the old silos.